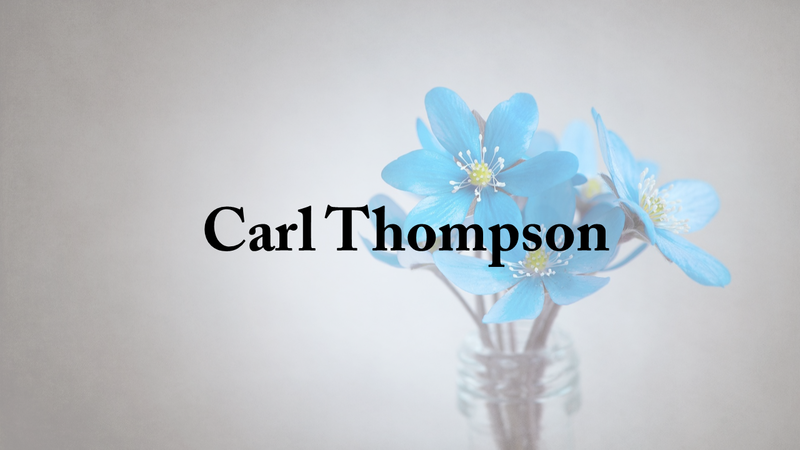 Carl Thompson, 81, of Haleyville, entered into rest on Feb. 11, 2019 at Haleyville Healthcare surrounded by his family. Mr. Thompson was born on July 4, 1937, in Verdulnville, West Virginia. Carl served in the United States Navy for 4 years during the Korean War, with time served on the USS Saratoga. He operated heavy equipment, specifically as a crane operator. Carl enjoyed traveling and spending time with his family. Visitation will be held on Wednesday, Feb. 13, 2019 from 12 p.m. until 2 p.m. at Nichols Funeral Home in Haleyville, where services will be held at 2 p.m. Brother Jeff Whitten will officiate. Burial will follow in Winston Memorial Cemetery. Carl is survived by his wife, Stacie Thompson; step son, Keith Hamby; several grandchildren, great grandchildren, and a host of nephews. He was preceded in death by his parents, Bill and Minerva Thompson; brothers, Harold and Junior; and sister, Myrtle.